Movie tie-in games usually blow, but occasionally we come across an interesting effort like Freaky Deaky Flashback. It’s an Android game based the movie Freaky Deaky which in turn is based off the Elmore Leonard novel of the same name. Freaky Deaky Flashback lets you step into the role of Daniel Jacobs, an FBI Agent who’s gone undercover to bust up a group of counter-culture College students after a bomb goes off. 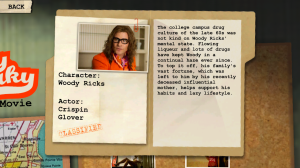 You’ll have to find the suspects, and you’ll even get to interact with a few characters from the game including Robin, Skip, Donnell, Chris, and the Ricks brothers. 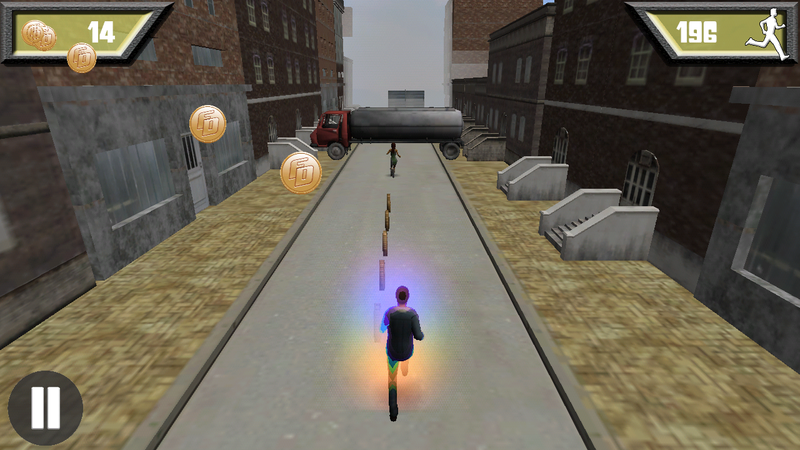 The game itself is made up of three mini-games with Dynamite Dash, Hot Pursuit, and Fully Loaded. Dash puts you to work cutting wires on bombs with your finger while the other two games are endless runners of sorts. Hot Pursuit has you chase after Robin, and Fully Loaded is a running cover-based shooter. Freaky Deaky Flashback also offers up a whopping 48 achievements and 10 ranks of ability. The games are all nice time wasters, and the interface is pretty slick as well. You’ll be able to “flashback” between 1969 and 1974; the games and a motion comic are are all in ’64 while 1974 switches things up a bit by giving you some background on the film and its characters. It’s all very well done, and you’ll appreciate it if you’re a fan of the movie. Freaky Deaky is a freaky little film from Charles Matthau, son of the late great Walter Matthau. While it may not have gone over so well at the box office, I enjoyed it and it features a couple of my favorite actors in Christian Slater and Crispin Glover. The developers did a great job with the Freaky Deaky Flashback game as a whole, and it’s well worth a look if you dig the film or are looking for a few solid mini-games to play. If you want to check it out, you can pick up Freaky Deaky Flashback for free on Google Play.